It pays to be one of the best. While Central High's (CA) Simone Johnson may not have made a massive jump year-over-year, she's seen small progress, and that's nothing to take for granted. Currently US No. 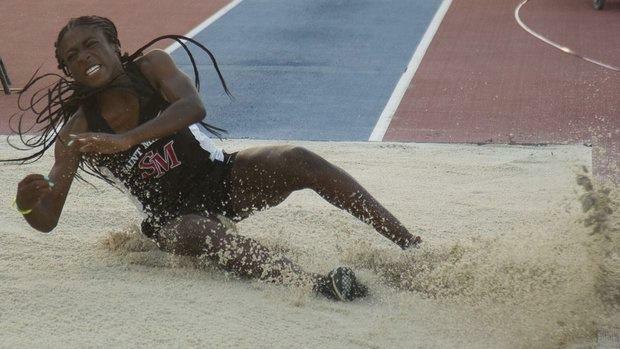 2 in the triple jump with her career best 40 foot, 6.5 inch jump at the West Coast Relays, Johnson has improved by nearly 2-feet to eclipse that 40-foot barrier for the first time in her career. Beyond that big jump, Johnson now likely has bigger goals, like improving on her 19th-place finish (she didn't get out of the prelims) at the CIF State Championships in June. It's a big year ahead for Johnson. But check below for the entire list of the most improved girls in the country.